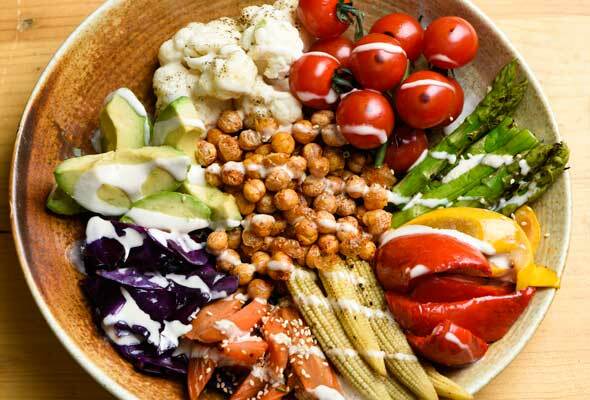 Committing to a plant-based lifestyle can seem like a minefield, but whether you’re dabbling with veganism or consider yourself a fully-fledged member of the club, here’s where to get great grub in Dubai (and there’s not a limp salad in sight). 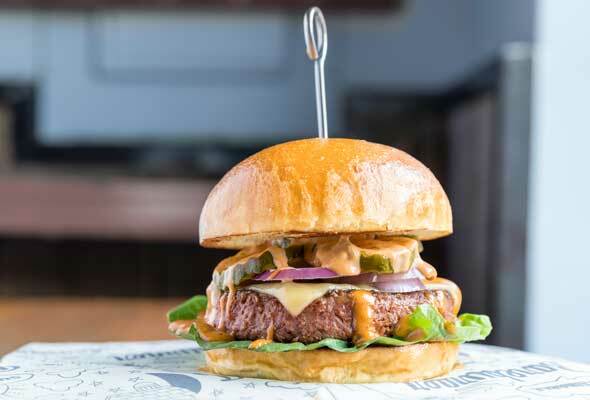 This burger restaurant hailing from New York isn’t just for carnivores – there are two vegan burgers on the menu. Its signature dish – the vegan and gluten-free Farmstead – is made of sweet potatoes, quinoa, alfalfa, romaine, tomatoes, hummus and lemon dressing wrapped in a collard green leaf. The Guadalupe is a rice and black bean patty with guacamole pickle jalapeno, tomatoes and alfalfa with a multi-grain bun. This 100 per cent vegan eatery is a haven for Dubai’s health conscious foodies looking for new dishes. Open for breakfast, lunch and all-day snacks, Wild & The Moon focuses on plant-based courses that are free from gluten, refined sugar, additives, chemicals, GMOs, soy and dairy. 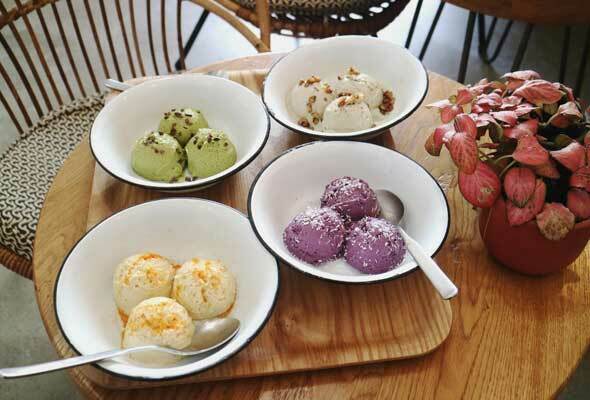 They’ve recently launched plant-based vegan ice creams, which rotate on a daily basis and come in a variety of flavours including turmeric and mango, blueberries and acai, vanilla and thyme, black sesame and banana and matcha. This new bar may nod to the 1990s with its retro gaming theme, but they’re firmly in the current century when it comes to the food. 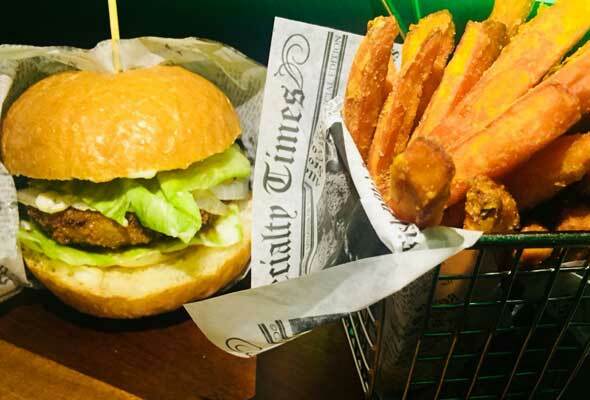 Vegans can opt for the Phoebe Buffay burger, a mushroom patty with soy mayonnaise, tomato, onion, lettuce and avocado. Looking for vegan Indian grub? 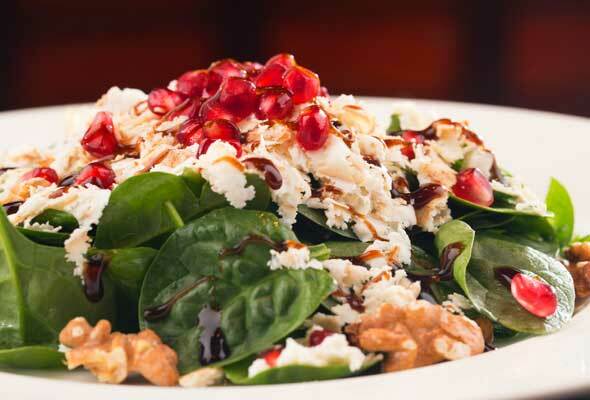 This upscale restaurant and lounge in DIFC has its own dedicated vegan set menu. 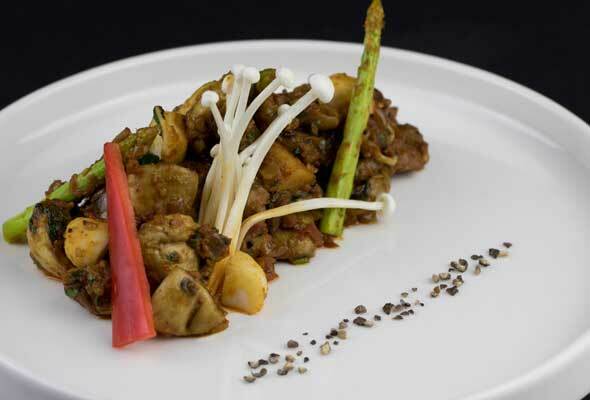 Choose from hot and cold starters, mains including sauteed vegetables with local green curry and sides including yellow dal. Formerly known as Coco on 8, the poolside outdoor lounge at Media One Hotel has two vegan dishes on their new menu. Sample either zucchini noodles or pistachio and kale pesto with carrots and charred tomatoes at the Miami-inspired outlet. Open 24 hours, you can pick from a wide variety of options at this Australian chain. Expect truffled oyster mushrooms on toast, grilled courgette and roast red pepper on a pumpkin seed ciabatta and black quinoa, kale and roast sweet potato salad. 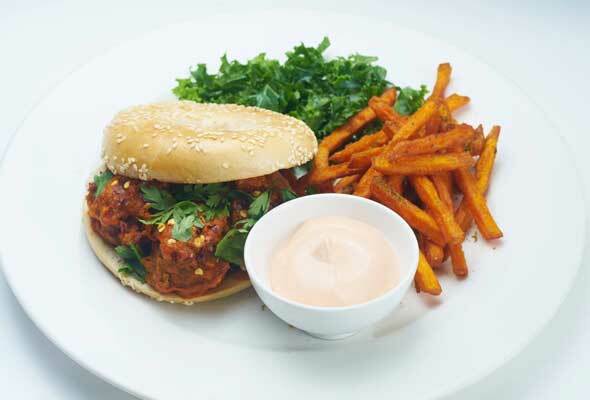 One for veg lovers, Organic Foods & Cafe hosts a vegan brunch every last weekend of the month. You’ll get an all-you-can-eat buffet, unlimited hot drinks as well as two cold beverages. The cafe’s specials of the day also contain plenty of vegan items. Try the company’s first vegan pizza, the Free-Gan. Freedom Pizza are also set to launch vegan cheesy breadsticks this month. Desserts are provided by raw vegan dessert company, Coco Yogo. 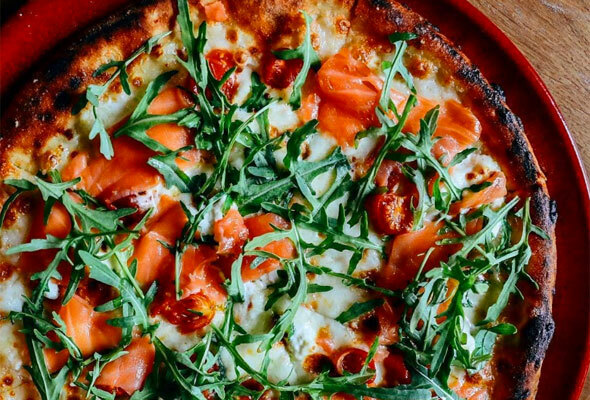 Celebrity Italian chef Rona Locatelli’s family-friendly Atlantis spot boasts an impressive eight vegan pizza options, such as vegetariana and baby spinaci. There are also several desserts on the menu – look out for their avocado chocolate mousse. Not everything on the menu is vegan at Gourmet by Kcal, but if you’re enjoying a pool day at the Le Meridien Mina Seyahi Beach Resort & Marina, pop in for their chili con carne and a dessert selection including fudge brownie. 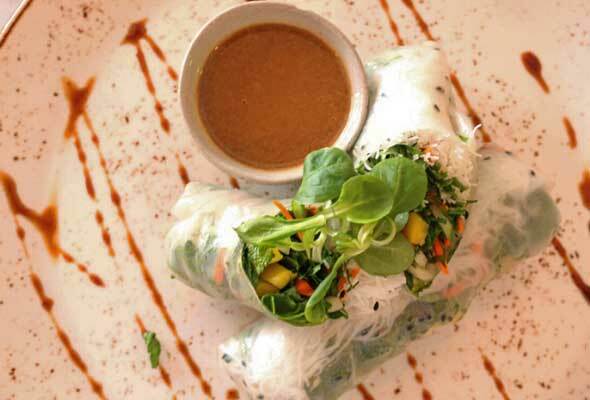 Specialising in vegan and raw cuisine, this JLT spot has a vast array of vegan offerings on the menu. You can even find vegan cheese here. 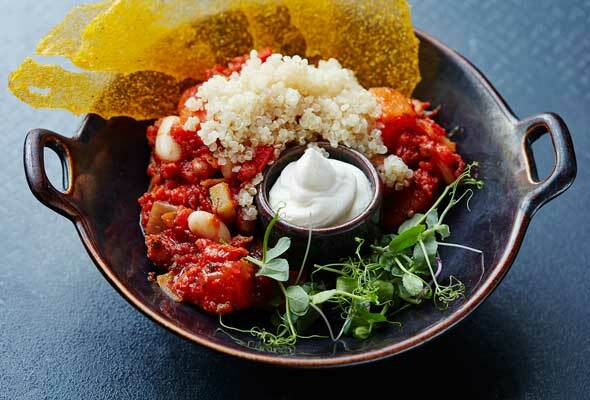 This stylish boutique with a health-conscious cafe serves many vegan options, and they’ve recently added two new vegan dishes to the menu. 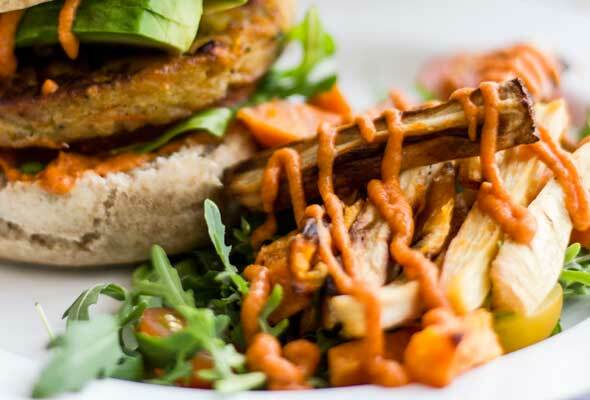 Try the veggie burger served with homemade ketchup or the Caesar salad, a plant-based version of the classic Caesar salad made with vegan bacon. 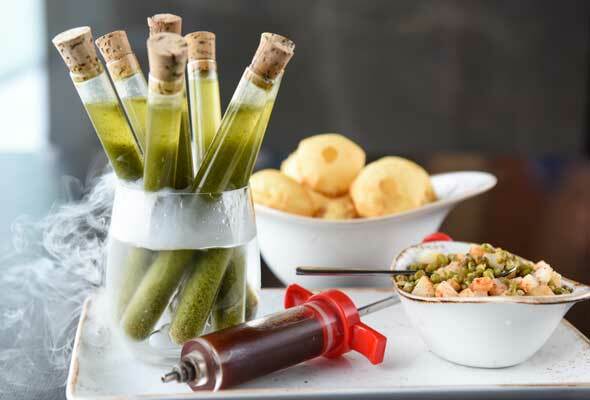 There’s a separate vegan menu at this modern Indian restaurant inspired by molecular gastronomy. Dal fans will be in for a treat as there’s a section devoted to lentils and rice, and there’s also a selection of vegan chocolates. 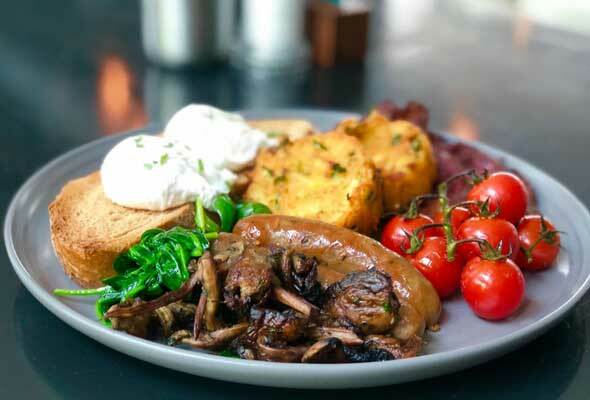 Famed for its lively atmosphere, Tribeca’s vegan brunch, Vrunch, features carrot tartare, a vegan bun with tofu bacon and vegan mayo-chipotle, gnocchi with organic asparagus, organic broccoli and vegan caramel and banana brownie. This eclectic space with a yoga and pilates studio serves vegan dishes at its cafe. Life’n One launched the vurger in July, made from oyster mushrooms drizzled in barbecue sauce and wrapped in a beetroot gluten-free bun. There’s a comprehensive vegan menu at Dubai Herbal Treatment Centre, serving everything from salads and spring rolls to garden lasagna, red lentil soup and leafy risotto as well as sweet treats. Dubai Herbal Treatment Centre also hosts vegan meet and greet events. A cafe that started off selling comfort food has evolved and now has a standalone vegan section. On the menu find cauliflower and chickpea flatbread, brown rice noodles and edamame, and pumpkin and tomatillos with roasted almonds. 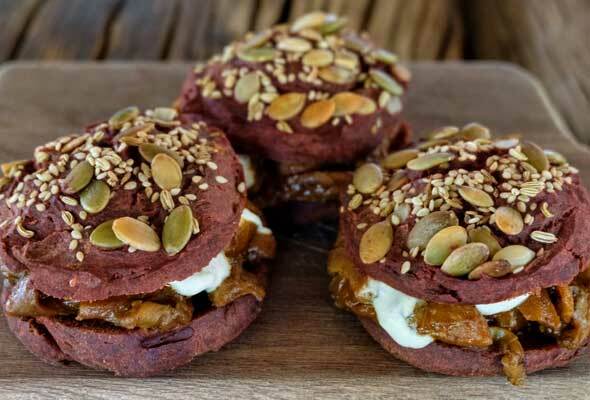 Carb loving vegans can head to organic eatery Baker & Spice for their handmade beetroot pasta. 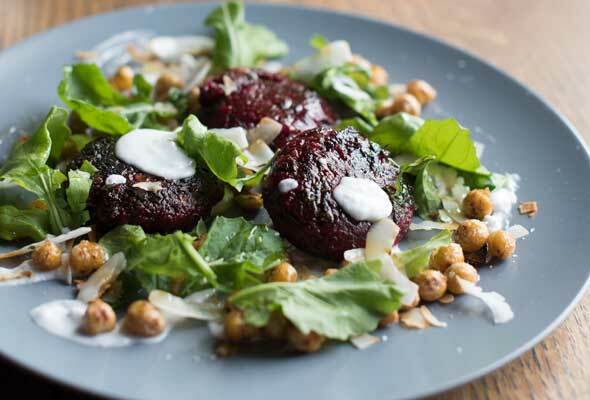 The beetroot bucatini is made from Madras chickpea curry, spinach, lemon zest and toasted coconut.